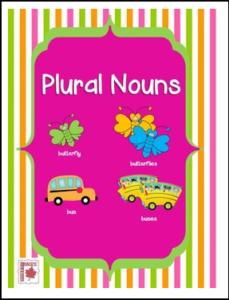 This free Grade 3 -5 resource engages students in discovering for themselves the various ways in which singular nouns become plural. This lesson plan has students:working first in pairs and next in groups of 4 to investigate and share their learning about plural nouns, and then working independently to apply their new knowledge with the worksheet provided. An answer key is provided for this lesson, which will take from 30 to 45 minutes to complete, although it can be broken into two shorter lessons.